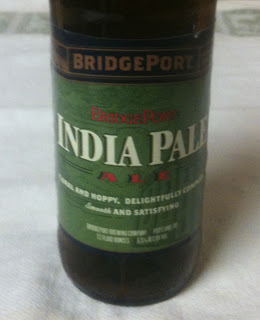 Tonight's beer will be the standard India Pale Ale from Bridgeport Brewing Company. Twelve ounce bottle, 5.5% ABV. 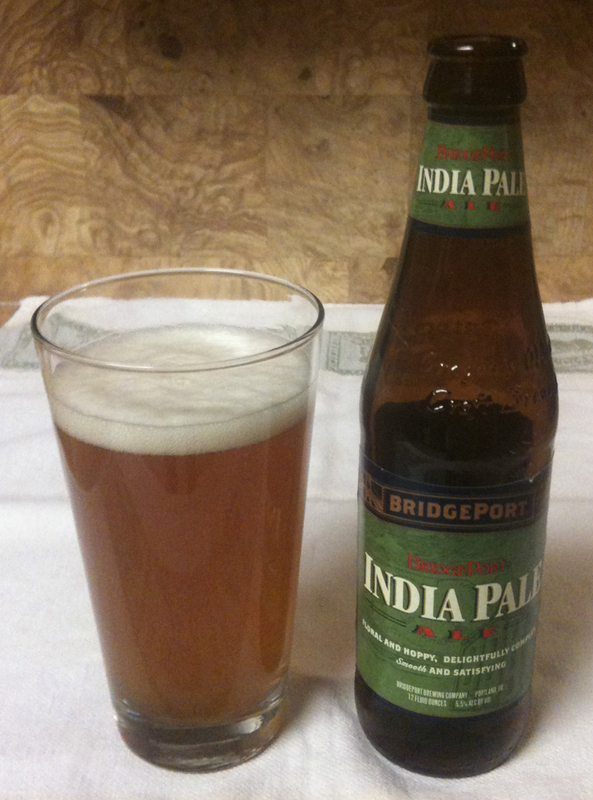 Their web site shows 50 IBUs for this IPA. This beer poured with a light to medium head. It is a golden color, cloudy and with a fair amount of sediment. The aroma is primarily of citrus. I would give it a mild to medium on strength. There is almost no bitterness, and the flavor is a mild mix of hops, citrus and malt. Just a light aftertaste of "beer" - nothing prominent. This would be a good beer for people who like milder IPAs, or perhaps a good IPA for wheat beer fans.